I'm a freelance writer, but I am not yet an expert in the field. 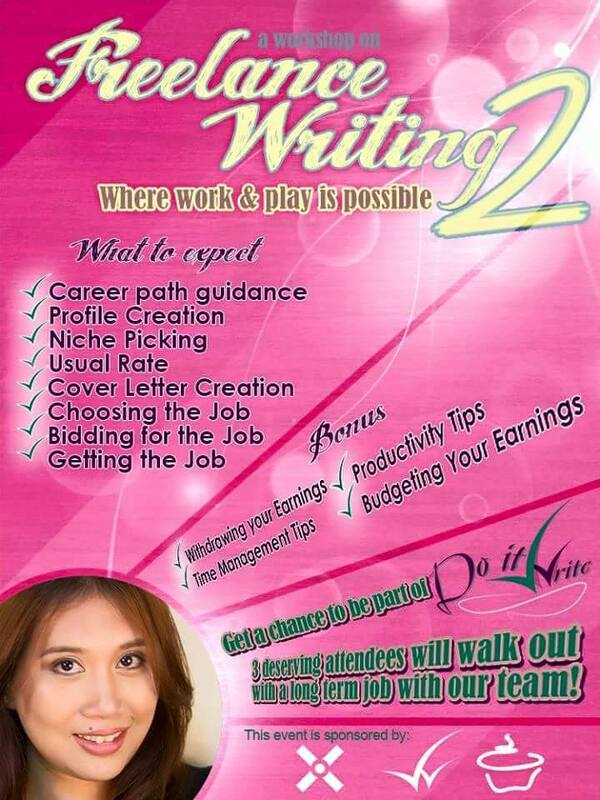 I want to learn more about what it takes to have a great freelance writing career. If you are struggling to be a freelance writer, then maybe the Freelance Writing Workshop of Nizza Gueco can help you.